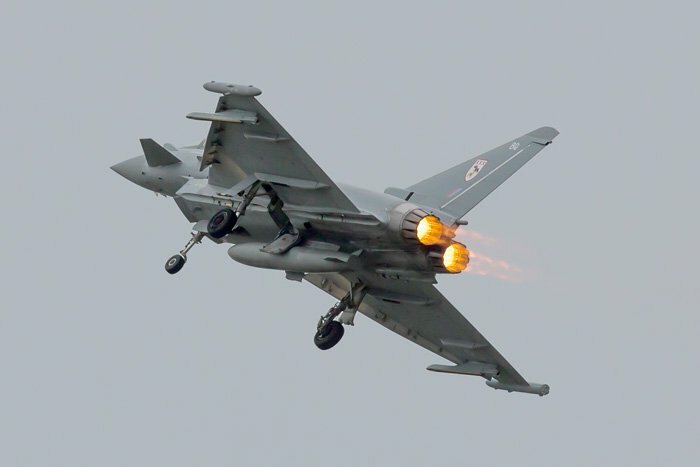 The Wales Airshow, previously known as the Wales National Airshow, held in the natural amphitheatre of Swansea Bay, has been held every two years but became an annual show from 2016. The displays can be seen along the entire 5 mile stretch of Swansea Bay from Mumbles Head eastwards past the University and towards Swansea city. "It’s great news that the Red Arrows have confirmed that they’ll be taking part in our annual free Wales Airshow this summer. "It will be great to welcome back a team with such an international reputation, particularly in this special year, as Swansea celebrates its 50th anniversary as a city." As part of the celebrations, the Battle of Britain Memorial Flight will showcase three aircraft still in the air more than 70 years after their finest hours. The Supermarine Spitfire, Hawker Hurricane and Avro Lancaster will make their mark at the Wales Airshow on both days of the show. Visitors to the show at Swansea will also be able to enjoy the ever-popular Chinook, one of only 13 public venues to be allocated the Chinook in 2019. Figures show the Wales Airshow, organised by Swansea Council, attracted 250,000 people last year and was estimated to be worth £9.7m to the local economy. On the ground expect an interactive military village as well as the usual trade stands, children’s entertainment, funfair and refreshments. The Wales Airshow, once known as the Wales National Airshow, held in the natural amphitheatre of Swansea Bay, has previously been held every two years but became an annual show from 2016. On Saturday the sun and clear skies enabled the crowd to enjoy a full programme of displays but on Sunday a darkening sky and some rain did result in the cancellation of the Tutor display although the weather cleared again later in the afternoon. The RAF are always very supportive. In 2017 they committed five teams and for 2018 they had no fewer than six teams in the air: the Red Arrows, the BBMF trio, the Falcons, the noisy Typhoon, the Chinook and the Tutor (on Saturday). There was also a good mix of civilian light aerobatic displays. On the ground was an interactive military village as well as the usual trade stands, children’s entertainment, funfair and refreshments and a clebration of the armed forces to mark Armed Forces Day. The RAF are very supportive this year, committing the Red Arrows, Typhoon, Chinook, Tutor and the Battle of Britain Memorial Flight one of only a few shows to get that whole set. The Lancaster was to have been included in the BBMF display, but prolonged winter maintenance has delayed the start of its flying season and it will not now be ready in time. The RAF's impressive lineup is complemented by a good mix of jet and light aerobatic displays including the incomparable Lauren Richardson in her Pitts. On the ground look forward to an interactive military village as well as the usual trade stands, children’s entertainment, funfair and refreshments. Swansea is just off the M4 with its links to the motorway network. Journey times are surprisingly short - about 3½ hours from London and 2¾ hours from Birmingham, for example. For sat nav use SA1 9SA but ignore the sat nav in favour of local signs when you see them. There are links to route planners in the 'Travel Advice' column. National Express have coach services to Swansea from London, Gatwick and Heathrow, Yorkshire, the West Midlands, Bristol and Cardiff. Megabus coaches have direct serves to Swansea from London, Bristol and Birmingham and Greyhound coaches have services from Bristol Airport, Bristol City, Newport and Cardiff. The Baytrans website has guides for travelling to Swansea by public transport including by coach. Swansea is very easily accessible by train. There are direct trains from South Wales towns, London (Paddington), Bristol (Parkway), Cardiff, Newport, Hereford, Shrewsbury, Crewe, Manchester and places in between with connections throughout the UK. Click the blue Expedia name for a list of hotels and guest houses near the show. The venue is already built into the link but when the list comes up you do have to enter your dates and number of rooms and guests, if necessary. The International Hotels Group have a Holiday Inn Express in Swansea East; there are three nearby Premier Inn hotels, one on the waterfront, one in the city centre and another just out of town in Swansea North.